Here’s my sample scarf testing the material sett for weaving a larger shawl with my cotton/polyester dyed with Texas Ball Moss. Yahoo! 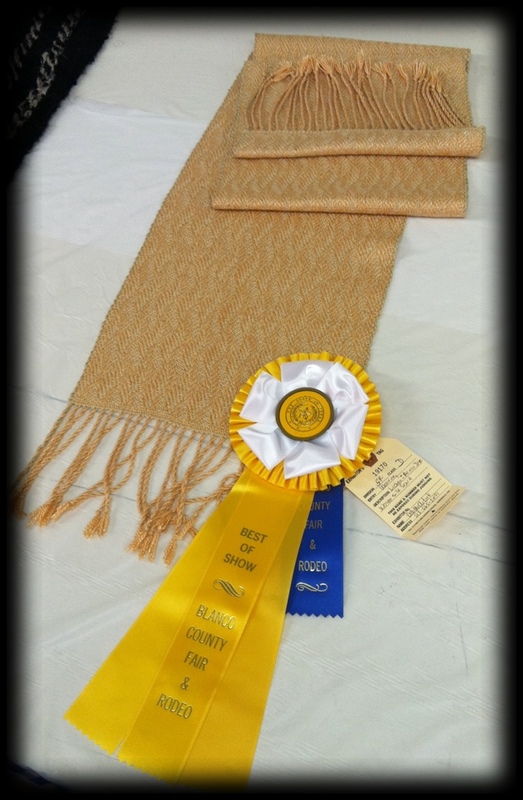 Lichen scarf wins Crafts & Hobbies category in Blanco County Fair. Warp is Texas Parmotrema Austrosinese (unwhiskered ruffle lichen) soaked in alcohol. 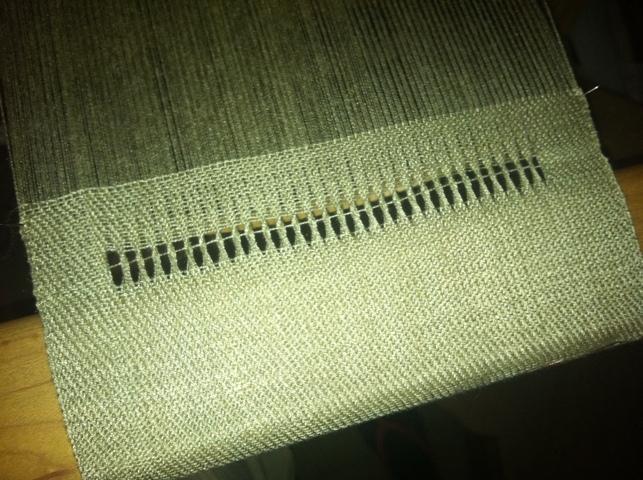 Weft is same lichen simmered in water. Well, I got some nice tannin golds from the persimmon. I used a bit of iron with one skein. They are displayed on top of a southern Lao cotton blanket. These skeins are destined to be over dyed with drought lichen to see what other color combinations lurk here in my valley. Going for brown or black! 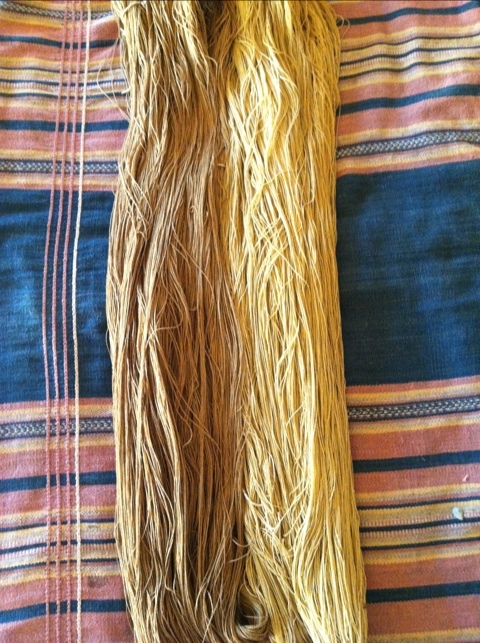 Here’s the preliminary silk color on the right from the search for persimmon black. Can it happen? 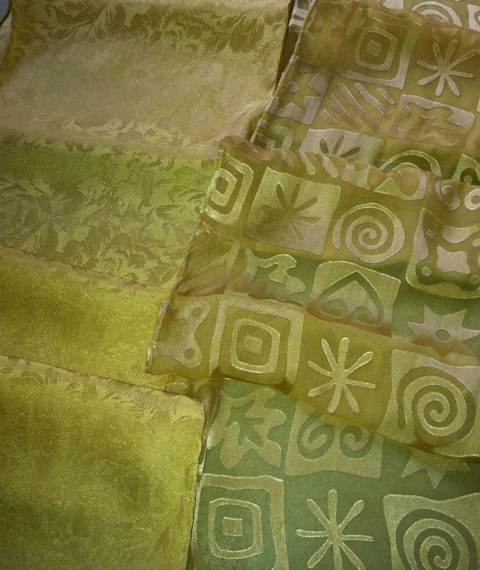 Colors on silk blank and on silk yarn skein, worth the ferment! 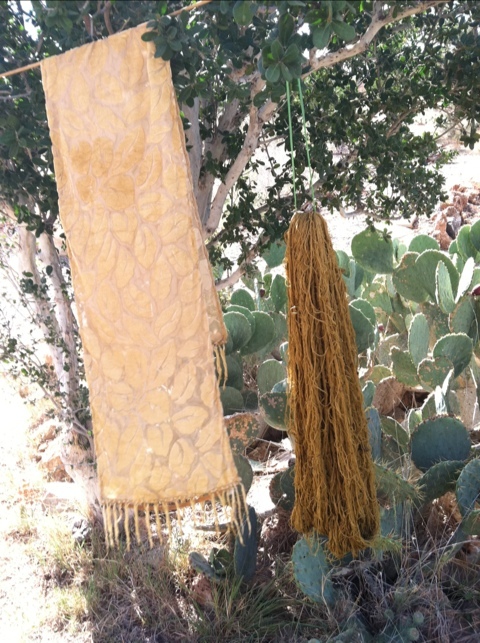 Here’s the latest dye experiment with Texas Persimmons. 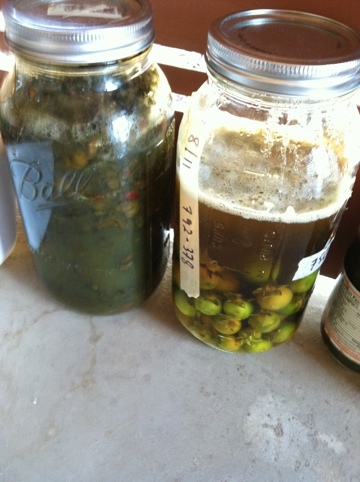 This was the fermentation dip method. Hi folks, I’ve jumped again to another blog format….for weaving sake here is one of my latest commissions. 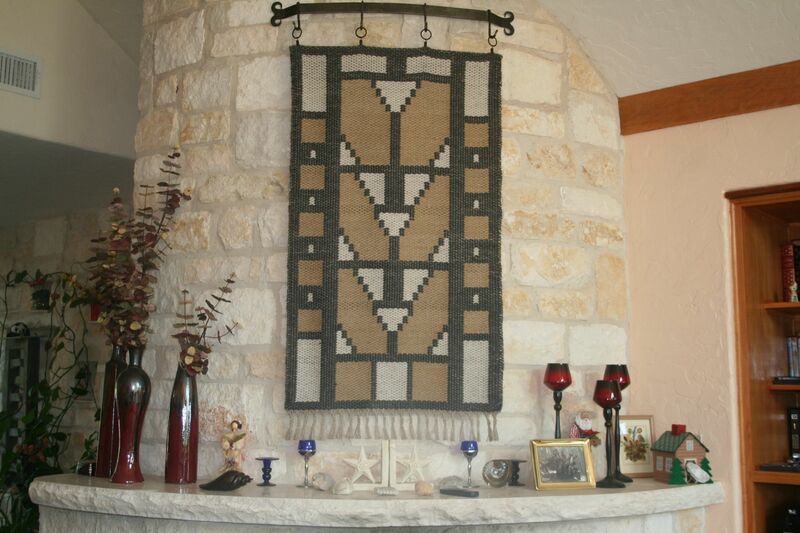 It was designed to go above a fireplace and I think the limestone wall shows off the many colors of the mohair.